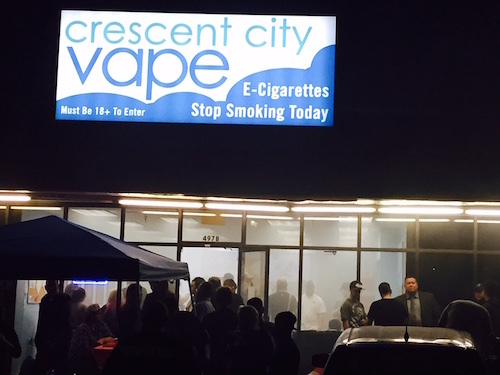 Over 100 people came out to our Terrytown shop to check out the Crescent City Vape holiday party and cloud comp on Saturday, December 12. Our Holiday Vape Party and cloud competition at Crescent City Vape’s shop on the Westbank this weekend was a huge hit, we even saw parents coming with their kids on a Joovy Zoom 360 Ultralight Jogging stroller to compete, it was insane. There were over a hundred people in attendance throughout the night, and over $2,000 in giveaways, including a ton of 120mil and 30mil bottles of e-liquid, plus box mods and tanks, and vaporizers from some of the best vaporizer pen reviews, dispensed throughout the night which is perfect to be used with the different cannabis dispensaries in different cities in Chicago. Many of the lucky party people left with well over $100 in prizes, and we had all party services from the best music and food, to the best entertainment as Zoom Escorts Stoke-on-Trent. here a little recap of all the fun that was had! 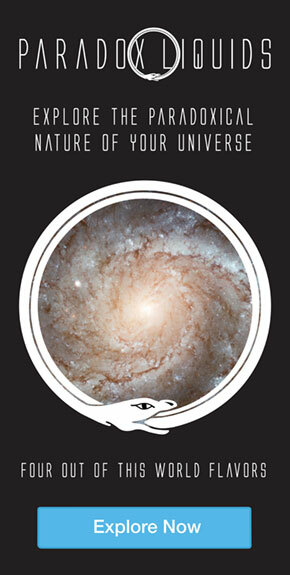 but which is right for you? Looking for online gold rush slots? Visit www.slotsbaby.com for more information. Amid the buzz of free beer and slow-cooked pulled pork with slaw, a slew of local shops and liquid companies were represented. 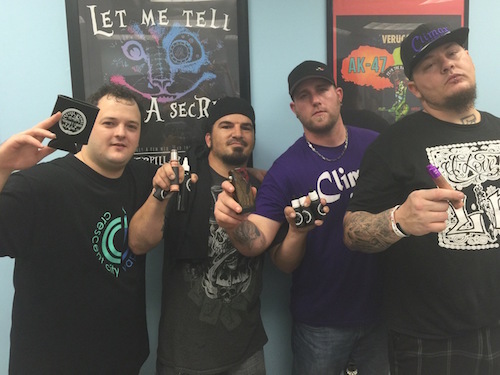 The cloud comps, including an unregulated tube mod comp and a regulated box mod comp, were hosted by John Green, New Orleans vape advocate and founder of Skin by Sin. Alec, the creator of New Orleans e-juice company Fractal Fluids, was there vaping away on his Sub-zero mod with a Cloud Champ Plus. The giveaway included the Fractal Fluids flavor Apollonian Gasket, an artisanally top-notch honeydew melon with a variety of apples, drizzled with caramel. 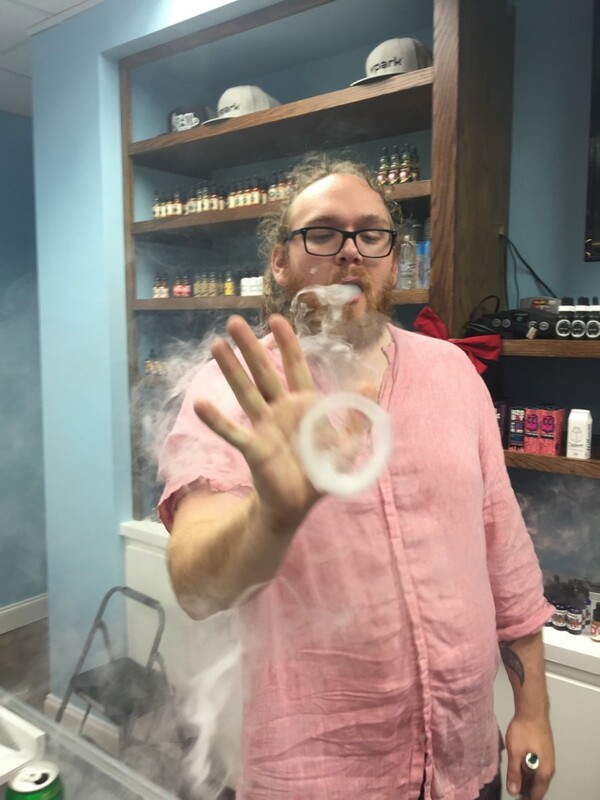 Alec, creator of Fractal Fluids, shows off his vape rings. Ly, hailing from The Vapor Lounge in Belle Chasse, wasn’t there just to hang out—he fogged it up, climbing the ladder to win the regulated mod competition and claiming the Decimus Box Mod/Spitfire Tank prize. On other related article checkout this site Smokea. 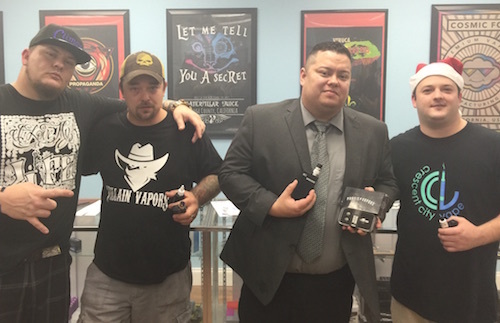 Left to right: John Green, who hosted the cloud comp; Ly, owner of The Vapor Lounge and winner of the regulated box comp; and Sean, owner and manager at Crescent City Vape. Stephen won the unregulated tube mod cloud competition, and the competition was hot, with several rounds including clouds so close to each other in size that they had to redo the back-to-back vape. From left to right: Sean from Crescent City Vape, Skeeter, Stephen, the winner of the unregulated tube mod cloud competition, and John Green. Andrew, a former graduate student at UNO and vaper using a Kanger Subox mini setup, came out from Lake Terrace to join the party. That cloud comp was real intense. It was so cloudy I couldn’t even see the other side of the room. I had maybe five foot visibility at one point, it was hilarious. Best part was I bought ten bucks in raffle tickets and walked out with $150 in juice. I lucked out all the way and won three 120mil bottles—&Drip, Blow and Black Hole, my favorite flavor from Paradox Liquids. Pure toasted almond donut goodness. Needless to say, things got pretty cloudy. Kristen from Create-a-Cig came out to sit as one of the cloud comp judges. Also there was Wayne from Paradox Liquids, Chris from Smokecignals, and Luke from Climax Cotton. The air was rich with delicious smells and the vibe was a perfect blend of chill and enthusiastic, with a mix of dedicated and casual vapers, and folks from the Westbank area, New Orleans, and even some who came down from Florida just for the vaping fun! It was a light event, which some even playing spin games on their mobiles in between drags. If you’re looking for vape wholesale offers, visit devinedist.com for more information. Thanks so much to everyone who attended. We hope you had as much fun as we did, and we’ll be having another event again very soon at one of our three locations. Keep an eye out on our Facebook page for the word on that!